This month we have the pleasure of interviewing Gayane Arsenyan from Armenia. 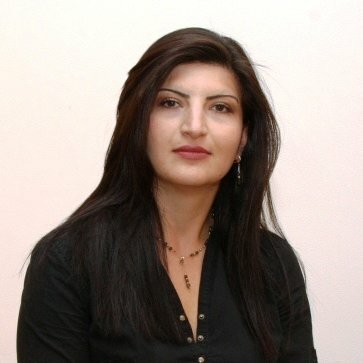 Gayane is a Supervisor Actuary at the Central Bank of Armenia, and a lecturer in actuarial science and insurance at the Russian-Armenian (Slavonic) University in Yerevan. She is Vice-Chair of the Actuaries Without Borders Committee, and is a founding member and board member of the Actuarial Society of Armenia. In addition, she serves on the Advice and Assistance Committee of the International Actuarial Association for Eurasia and the Middle East. Gayane Arsenyan (GA): Approximately 35. GA: To get involved in monitoring/supervising and quantifying all risks facing an insurance market, and to help devise strategies for dealing with and avoiding these risks. GA: The most interesting thing in my career is that almost all my colleagues believe that they could do my work better, but when I ask (just for fun) any technical question they answer me "Ohhh, that's too difficult for us to understand. You are an actuary, you must know better!" GA: The first time the term "Actuary" was used in insurance regulation in 2007. Moreover, starting from summer of 2008, there was a restriction, according to which all insurance companies need to have at least one actuary on their staff, whom the Central Bank of Armenia (CBA) must approve. In 2008, the Financial Sector Deepening Project (FSDP), one of the USAID's projects, in Association with Central Bank of Armenia (CBA) and UK Institute of Actuaries implemented Actuarial Education, which included 2 stages of courses: Basic Education (8 modules) and Advanced Education (12 modules). Almost all the modules were taught by UK actuaries (except 3 modules, which were taught by local experts). The lecturers were chosen by the UK Institute and Faculty of Actuaries based on their particular areas of actuarial expertise and their availability. Most of the students who graduated from these courses currently work in Armenian financial sector. Some of them are Responsible Actuaries, some work in governmental institutes, and the rest are involved in bank risk management processes. GA: Currently, the Armenian Society of Actuaries (ASA), in association with the Central Bank of Armenia and Actuaries Without Boarders (AWB) is carrying out a long-term exam tuition project. The first (pilot) phase was carried out successfully in September 2014 (Financial Mathematics) and a second phase was carried out in June/July 2015 (Probability). To create a local educational platform, the ASA has provided Training of Trainers for those actuaries who have adequate knowledge for academic work. 1. Additional laws requiring implementation processes (e.g. Annual report of Responsible Actuaries, Solvency II pilot testing, etc). 2. Employers are gradually learning to utilize actuarial skills and knowledges, which is creating an added value for the profession. Over the next five to ten years, I think actuaries will be involved in Public Pension Schemes, in Public Health Insurance (which currently doesn't exist in our market) and most importantly, in the establishment of a local educational platform. GA: International qualifications (from the SOA or IFoA) and from a long-term perspective is a local qualification, which will fit to all the IAA qualification requirements. Currently ASA is working with Yerevan State University's (YSU) Actuarial Mathematics chair on partial adoption of the IAA educational syllabus in a newly opened Master's Program. GA: Since 2001, we have an Actuarial Mathematics chair in YSU, which is becoming more and more popular due to the rising demand of actuaries in the local job market. Currently the American State University and the Russian-Armenian (Slavonic) University are planning to open new chairs of Actuarial Science which could be considered as a positive trend in terms of the profession's development. GA: The credentialing procedure is defined only for Responsible Actuary/Head of Actuarial Division. The standards for qualification and professional adequacy of the Responsible Actuary, as well as the procedure for testing the professional adequacy and qualification thereof are established by the Central Bank criteria. The professional adequacy and qualification of the Responsible Actuary of a company is examined at the Central Bank, because this requirement is provided for under Central Bank regulations. GA: Employers do not pay exam fees, but can pay for materials (if not too expensive). Due to the small number of actuaries, obtaining time for exam preparation can sometimes be a problem and actuaries mostly take part of their annual leave to prepare for exams. GA: We don't have non-traditional actuarial positions. GA: Recently (over the last two years), the role of Responsible Actuaries is gradually increasing within the Armenian financial market. Currently they are considered to be key employees for insurance companies. AL: You are vice-chair of the Actuaries Without Borders (AWB) Council. Tell us a little bit about this organization, and your work with them. GA: AWB is a section of the International Actuarial Association (IAA), whose mission it is to promote global public good, focusing on countries that lack the actuarial resources needed to create productive, sustainable, and stable markets for insurance and other risk mitigation. Specifically, we are willing and able to develop the actuarial profession in supporting strategic objective 4 of the IAA: the development, organization and promotion of the actuarial profession in areas of the world in which it is not present or is not fully developed. As vice-chair, I assist the committee Chairperson in the management of the committee's work, assume the interim chairmanship of the committee in the absence of the Chairperson; promote AWB activities to actuarial associations world-wide, to NGOs, to potential sources of funding, and to AWB members. I work to grow the membership of AWB and with other IAA sections, IAA committees and subcommittees, the IAA leadership and secretariat to develop AWB projects and to promote IAA objectives. GA: The main problem we have in our country in terms of professional development is motivation of students to pay for international exams and exam papers. Due to low income, no income and absence of any available scholarship programs or reimbursement policy of actuarial exams/exam papers we have a very low level of students who are ready to pay. We would be happy to cooperate with our International colleagues in order to provide the best options for local students who are seeking to obtain their fellowship within the SOA or IFoA. Previous Is Enterprise Risk Management Worth It?